Daddy encountered something unbelievable at TMC when Mummy is at labour ward. 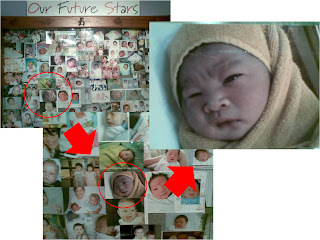 After Mummy was given epidural, Daddy went out for a breather and walked past the noticeboard named "Future Star" along the corridor of the delivery suite. Daddy: "How come the noticeboard got my son's photo?" Nurse: "Oh, it sent in by the parents." Daddy: "But I never sent in any photo." Nurse: "Then it not your son." 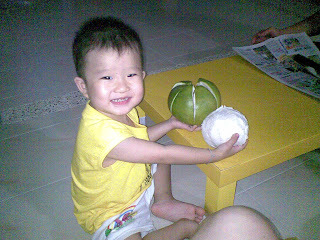 Daddy took the pixs and show it to Mummy and tell her the conversation between him and and the nurse. 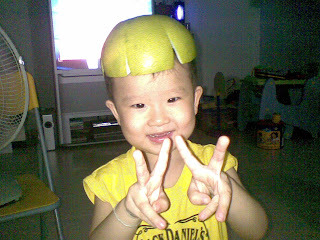 Mummy find it weird too. I was supposed to having school today. But because I was having flu, Mummy and Daddy decided to bring me to see doctor in case I passed the virus to others children. 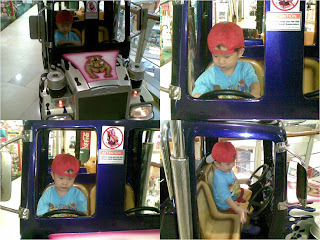 As I went pass this pimped kiddy ride, I was so happy and insist Daddy let me have a ride! During the weekend, we went for shopping at Parkway Parade. Knowing that i like to eat fried ebi, Daddy brought me to lunch at Ajisan. 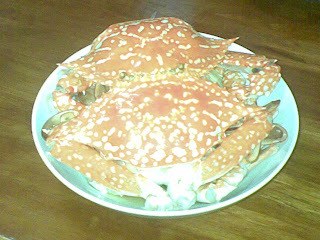 Look at the photos, i have not enough of fried ebi and asking for 3 more. 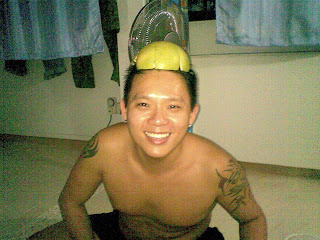 What a fried ebi lover! 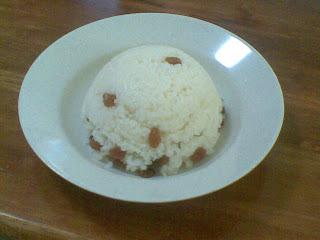 Today is Mummy 1st time update the blog after giving birth to Di Di. There are quite a number of postings to be update. 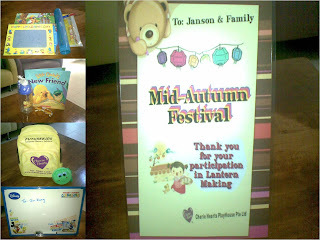 Starting the 1st posting is the Children Day Gifts which Janson received from his school. 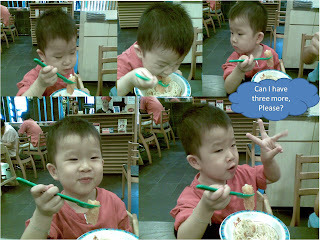 They are given by his Chinese teacher, Ms Lee, English teacher, teacher Cecilia, traffic warden and cooking auntie. 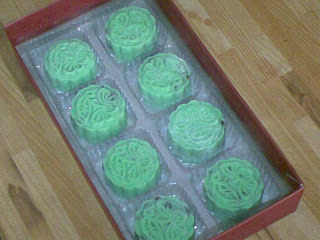 Besides the gifts from the teachers, Daddy had participated in the Lantern Making Competition during the Mooncake Festival. Even though Daddy did not win any prize, he still received a certification from the school for Daddy's participation. 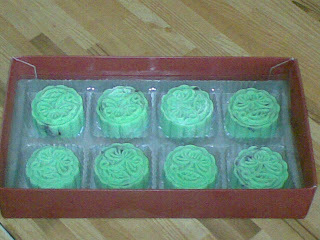 After the handmade snowksin mooncakes, Daddy had developed an interest in baking. 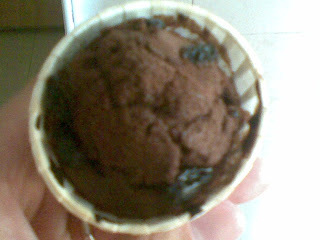 This are the chocolate muffins he made. 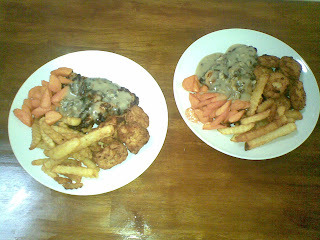 These are the 2rd attempts with different flavours. Daddy is going to bring it to school today to share with teachers and my peers. 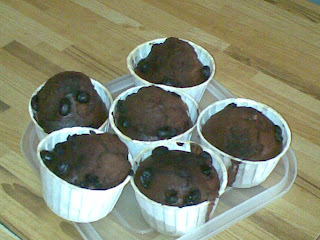 Chocolate mint muffins with chocolate chips and Mint muffins with mixed fruits. 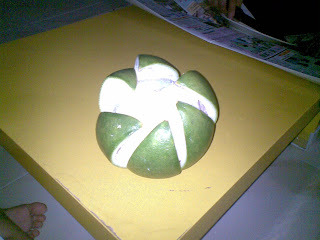 This is the 1st year Daddy tried making snowskin mooncakes. 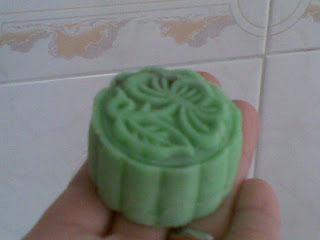 As this is Daddy's 1st attempt in making mooncakes, it is considered not bad. 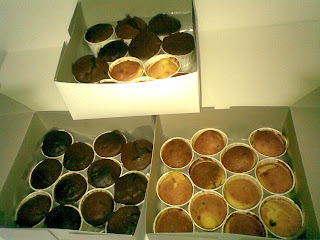 Daddy had made 5 boxes for my school teachers and classmates. 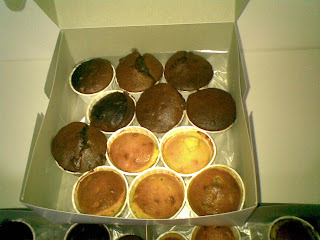 Each box contains 8 small ones. 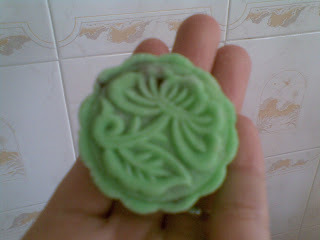 The skin is pandan flavour with lotus filling and chocolate chips. 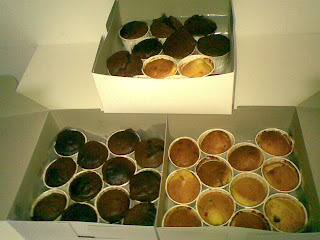 Daddy had also made another 5 boxes for my 2 great grandmothers, Ma Ma and Uncle Vincent. 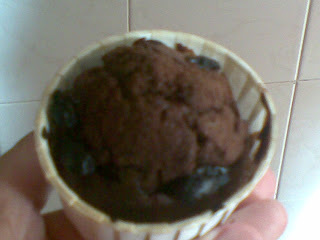 This time, the filling is red bean with chocolate chips. 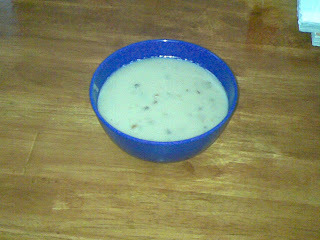 It is not sweet at all even though with the chocolate chips and suitable for elderly and kids. Latern festival is coming soon. 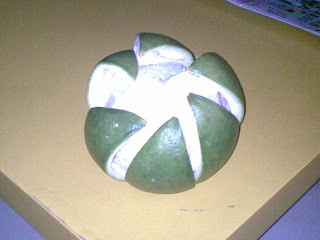 Daddy brought a pomelo and explained to me what is pomelo and at the same time i can try the taste. 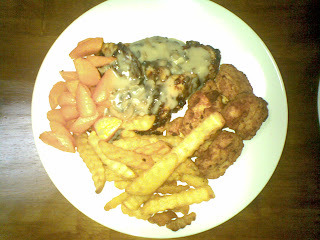 Last friday, Daddy suddenly had an urge to prepare lunch for Mummy before she giving birth. And all these are Mummy's favourites. 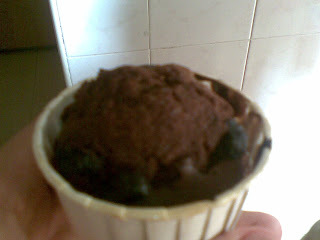 Too bad, I am at school otherwise i could have a share too.